Meet Mama Eliante and her baby girl Esther. I’ve known Eliante for almost two years. She was actually in our first pregnancy class in July 2014. Eliante is a leader, outgoing, funny and kind. When I reflect on the first pregnancy class, I’m quickly reminded that she was the “life” of the group. She was always the one cracking jokes and making others smile. 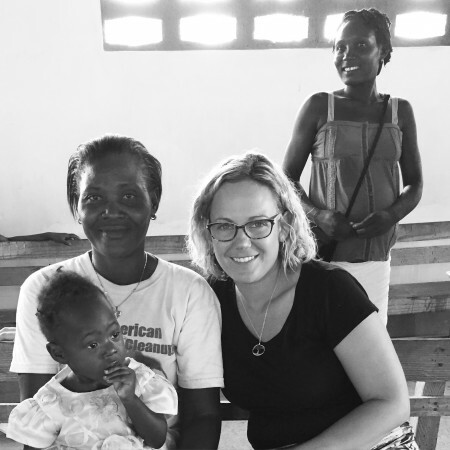 Founder/President of Breath of Life Haiti, Ashley Stills with Mama Eliante and her daughter Esther. 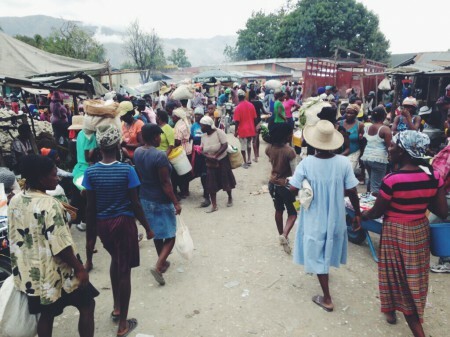 Most of the women in our program sell items at the market such as fruits, vegetables, rice, beans and cooking oil. In Dèsarmes, market days are on Tuesdays and Fridays. Many women travel from afar to sell their goods in hope to make money for their family. 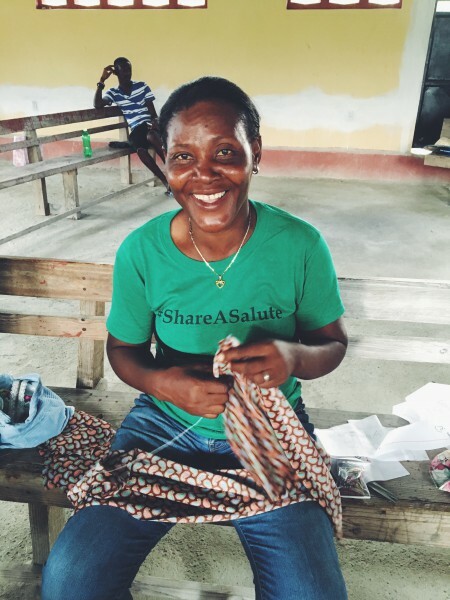 Eliante sells gently-used clothing to provide for her family. When walking through the market we always make it a priority to stop by to see her. She always greets us loudly with a big smile and hug. Every Tuesday and Friday is market day in Dèsarmes. Our mamas bring their items to the market in hopes to provide for their families. She always graces us with her presence when we are on the ground. Eliante will often walk down to the church to see what programs we are offering that she may be able to participate in. She will often attend the bible studies, sewing program and church service on Sunday. Eliante is an example of strength and dignity. I’ll be forever grateful that she is in my life. One of the most important aspects of our mission is relationship. We serve a God who desires to have a personal relationship with us. The greatest blessings and answered prayers often come through relationships with others. So many times God uses the people in our lives to give us hope, peace and love. I’m humbled and blessed to part of the lives of the women and families we serve.